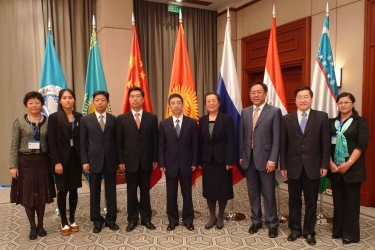 The idea of a League of Universities of the Shanghai Cooperation Organization (SCO) was initiated by Russian President Vladimir Putin during the Bishkek Summit in August 2007. This new type of cross-border league of tertiary institutions is a members-only organization, aiming at the cultivation of more high-caliber talents for the advance of regional cooperation between the SCO countries. At present, the league comprises eighty-two universities from five countries (China, Russia, Kazakhstan, Kyrgyzstan and Tajikistan). Priority is given to the development of regional studies, ecology, energy science, information technology, nanotechnology, pedagogy and economics. Among the twenty Chinese universities who currently enjoy membership are Tsinghua University, Jilin University, Dalian University of Foreign Languages and Dalian University of Science and Technology. President of DUFL, Mme. Sun Yuhua, was appointed chair of the Committee of Chinese Universities by the Ministry of Education in April, 2012. The Office of the Chairperson for China started its work in DUFL in May of the same year and is a permanent establishment, coordinating the activities of the SCO universities in China, executing the resolutions of the Committee of Chinese Universities, assisting the Committee in related work, and enhancing communication and contact among member universities. In terms of talent cultivation, great progress has been made in that thirty graduate students received scholarships to study overseas in 2013 and the number increased to eighty-one in 2014. Meanwhile, a total of five international students in 2013 and thirty-one in 2014 respectively came to China on scholarship programs for further studies. 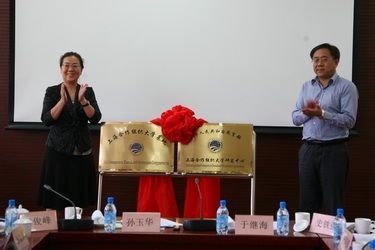 An SCO research center, a base, and two further research centers in China on ecology and regional studies were established in June 2013 to facilitate cooperation in scientific research. To ensure that Chinese students achieve the language proficiency required for co-operative programs of this nature, Russian training courses for students going abroad on SCO programs started in July of 2014. In the same month, thirty students majoring in regional studies participated in the Tsinghua Summit on Politics and International Relations to enhance cooperation within the SCO. In providing favorable conditions for the development of its Chinese member universities within the framework of the SCO, the office strives to facilitate regional education ties with international organizations and to cultivate high-caliber internationalized talents.